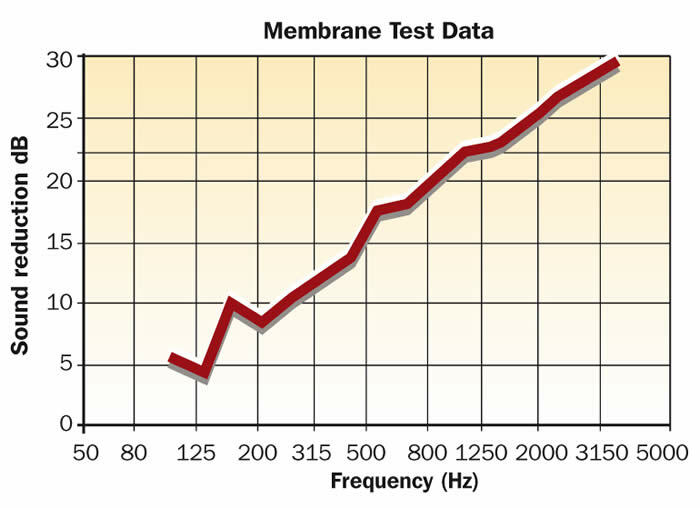 The membrane Complies with BSEN ISO 140. Our SoundBlocker Quilt SBQ2 consists of a laminate of 25mm Acoustic mineral wool, 5Kg acoustic membrane and 25mm Acoustic mineral wool. It performs up to 4 times better than normal Mineral Wool because it has a barrier layer sandwiched in the middle which helps block airborne sound as efficiently as lead. The SoundBlocker Quilt can be used to meet the new building regulations as part of an overall system making it an attractive sound insulating product for modern buildings. 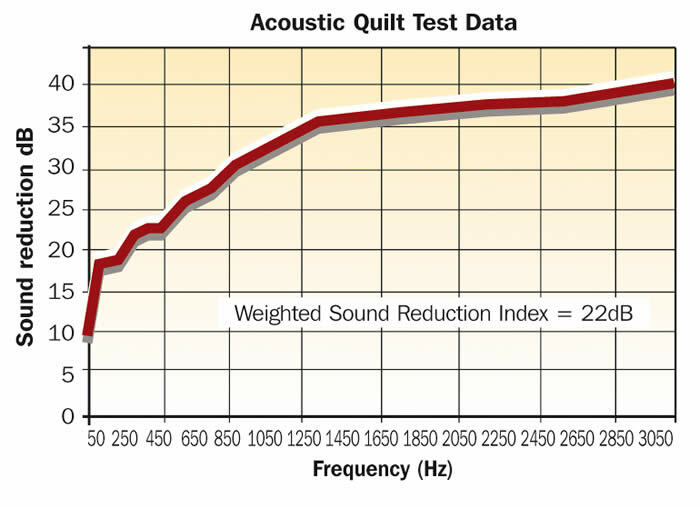 On it’s own our Acoustic Quilt can up rate a typical timber suspended floor section by up to 13dB! The quilting used in this product is a sound absorbing mineral wool product, which can be manufactured from silica sand, the earth’s most abundant naturally occurring mineral. Glass mineral wool is one of the most environmentally friendly insulation materials available. Inorganic and completely inert, over 70% of the raw material used in the production cycle are recycled. This process does not include the use of CFC’s, HCFC’s or other environmentally damaging gases. SoundBlocker Quilt is installed in a similar way to standard glass fibre rolls. When installing between floor joists its best to fold the quilt around a piece of wooden battening and screw the battening into the sides of the joists. This will compress the Acoustic quilt tight against the joists for the very best performance. If installing within a stud frame do the same fixing method to the header plate and the sides of the studs. Please Note: this product is made with 25mm fibreglass either side of the membrane but due to being shipped in roll form will come compressed overall to around 25mm. When unrolled, the insulation will quickly expand to its normal thickness of around 52mm.